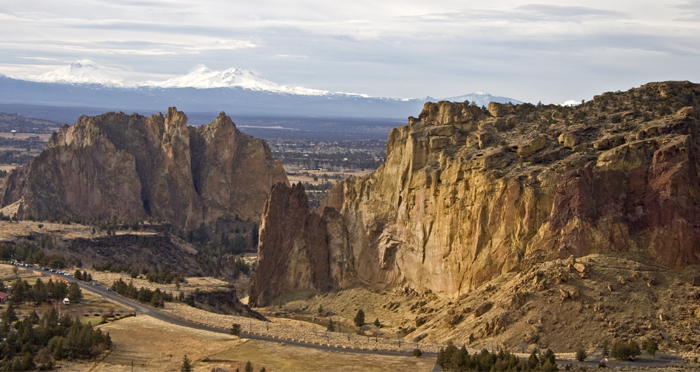 Oregon Parks and Recreation Department (OPRD) invites the public to weigh in on long-term planning for Smith Rock State Park as part of the process of updating the park’s Master Plan. The plan, last updated in 1991, will guide recreation use and resource management for the next 20 years. The Master Plan update process is currently near the end of the “Concept Development Plan” stage, which outlines infrastructure changes for Smith Rock. OPRD invites park users and community members to review the Concept Development Plan online at smithrockparkplan.com and submit their comments. Online: submit comments at smithrockparkplan.com. Mail: submit comments to Oregon Parks and Recreation Department, Attn. Robin Wilcox, 725 Summer St. NE, Suite C, Salem, OR 97301. Comments will be accepted through December 15, 2018. The Concept Development Plan is based on feedback received from stakeholders during public meetings held in 2017 and reflects site preservation priorities, parking, trails, facilities and other park amenities improvements. Meeting notes and materials from past public meetings are available online at smithrockparkplan.com. Comments will be collected and incorporated into the draft Master Plan to be presented summer 2019. A final round of public meetings will be held when the draft plan is released.